Inbound Marketing works by creating quality content that pulls visitors to your website. Buyers love useful and interesting content because they can get insights and ideas to improve their lives—on their own terms and schedule. No pesky salespeople are involved. Inbound Out Marketing, combines the best of Inbound Marketing with Targeted Outreach. It's the best way to get more leads at affordable costs. Your Goals and Vision - A clear explanation of why you are in business and what you expect to accomplish. Precise Prospect Profile - A deep exploration about your ideal customer—what they're like and what drives them to buy. What makes your company truly special in the eyes of your customers? What stories do you tell to explain your remarkables? How can your company be more remarkable? Messaging - Know the best way to communicate your remarkables, why you are in business, and why you are the best choice for customers. Tactical Plan - An exact plan, built on top of your goals, to connect with your ideal prospects and explain what's remarkable about your company. Every company’s market and situation is different. So we don't try to force fit you into some predefined marketing "package." By starting with your goals and your vision, we are able to build a plan that's all about you and just for you. Most clients find that having extra clarity on their goals and vision helps create alignment and focus throughout the organization. We want to know your ideal prospect. Really know them. What are they like? What characteristics do they share? You may have heard marketers talk about personas—a Precise Prospect Profile is a persona on steroids. It has all the surface-level persona information, but digs deeper to get real insights. Armed with a Precise Prospect Profile, we can help you find more of the ideal customers you really want. What are you going to say to your prospects to get them to want to buy? To grab their attention? To emotionally pull them into your business? Every company has a story. We listen carefully to you and your customers to find the stories that will make your prospects feel safe and have them eagerly embrace your company. What makes your company special? When your customers talk with their friends, what do they say about you? The answers are your "remarkables." The things that are so special about your company that people talk. Customers have choices and they buy from companies they think are special. Finding and inventing remarkables is some of the hardest work you'll ever do. We will challenge you. You say you're the fastest? How can you be faster? You may have to make changes to your operations, but the return on your remarkability investment is nearly always enormous. Having remarkables and a clear message provides the background for quality content, for attracting prospects, and for generating leads. Website - We often see websites that are inconsistent with a client's vision or don't have the technical abilities to support Inbound Out marketing. If your website needs to be improved, we'll give you a full list of recommended improvements. Keywords & Content Plan - For many clients, their prospects turn to search engines to find suitable products and services. We ensure they will find you by compiling search keywords that have good traffic and don't have unreasonable competition. Search keywords are just the beginning. What content do you already have and what needs to be created. The result is a content calendar that spells out what will be created and when. Landing Pages with Alluring Offers - Quality content attracts prospects to your website. Alluring Offers entice them to provide their contact information and convert them into leads. Lead Nurturing Funnel - For business-to-business clients, prospects rarely buy on their first visit to your website. They may not even want to hear from a salesperson. Lead nurturing lets you stay in touch and build micro-rapport. Add value and keep providing opportunities for prospects to ask for help—on their terms. Traffic Plan - What are the most cost-effective ways to get visitors to your website? Organic search, paid search, social media, and other conduits are all possibilities. Do your prospects frequently turn to search engines to find your products? Or, will we need to rely primarily on Targeted Outreach? There are many ways to attract visitors and we will recommend the best choices for your situation. Targeted Outreach & Key Influencers - Targeted Outreach works by directly identifying and communicating with your best prospects. In the same way, identifying and communcating with Key Influencers can drive your sales results. Our Outreach Plan defines how we will reach your most important audiences. Sales Process - Is you sales team ready for more leads? The Internet has changed how buyers behave and what they expect. We provide a sales enablement plan so your sales team can fully benefit from Inbound Out Marketing to close more business. The last step in our strategy process is Approval. We fully explain our recommendations so you know what will happen and how it's going to help you reach your business goals. 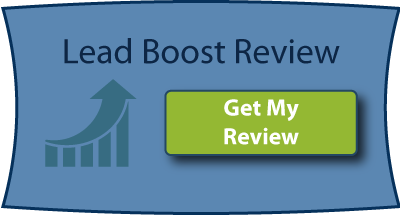 To learn more about Inbound Out Marketing Strategy, and to get a complete evaluation of your situation, schedule a Free Lead Boost Review.